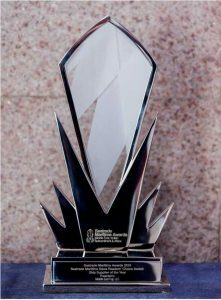 The prestigious Seatrade Maritime Awards Middle East, Indian Subcontinent and Africa was held in Atlantis Ballroom, Atlantis The Palm Dubai on 31st October 2016. The event was attended by hon-oured guests, prominent officers and leading personalities from different com-panies and organizations in marine and shipping industry. Various awards have been presented that night to the nominated organiza-tions. 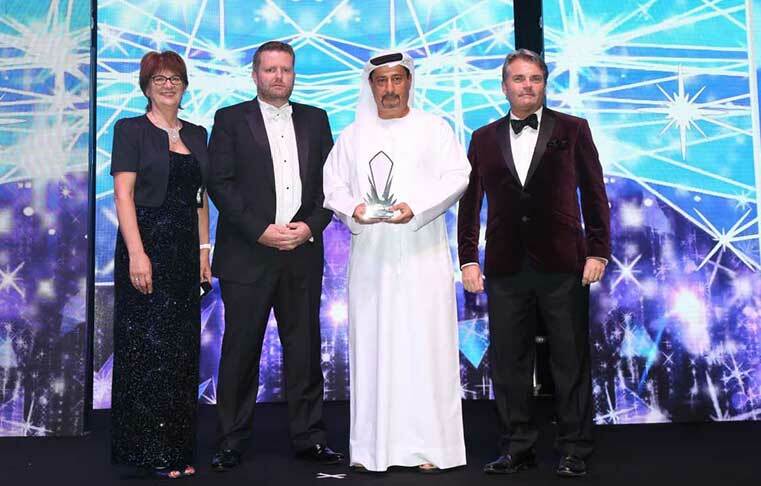 It is a great honour and privilege for Middle East Fuji LLC to be awarded with Seatrade Maritime News Readers’ Choice Award: Ship Supplier of the Year. The award was received with pride by Mr. Saeed Abdulkarim Hussain Al Malik, President & CEO. Together with him to grace the event was Mr. Masaharu Ono, Chairman Fuji Trading Co. Ltd.
Middle East Fuji LLC has actively partaken during the Dubai Maritime week by taking up an 84 sq. m. stand for the 3-day Seatrade Exhibition held from 31st October to 2nd November in Dubai International Convention and Exhibition Centre. The vibrant MEF stand attracted guests, customers and fellow suppliers from marine industry. 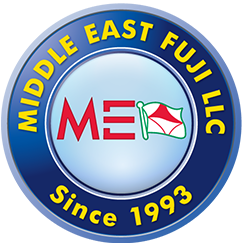 Although this year has been very challenging due to the market situation, Middle East Fuji LLC has endured to be one of the best ship suppliers in the region maintaining quality, reliability and integrity.